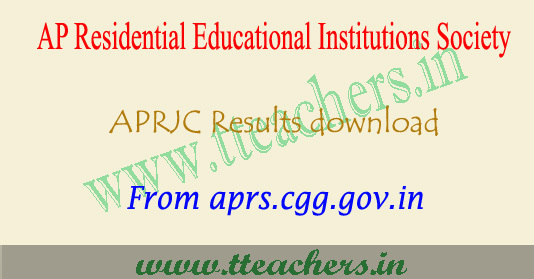 Manabadi APRJC 2018 results, aprjc notification result : Andhra Pradesh Residential Educational Institutions Society will be published the results of the entrance test conducted for the admissions to the intermediate 1st year in the state for the AP Residential Junior Colleges (APRJC). 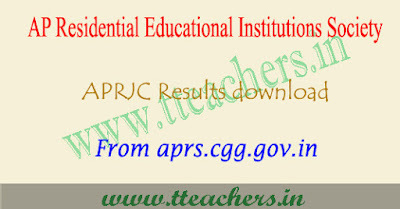 Andhra Pradesh Residential Educational Institutions Society has published the results of the entrance examination conducted for the admissions to the colleges in the state for the AP Residential Junior Colleges (APRJC). APRJC Society has conducted entrance examination on May 2018 for the admissions to General Junior Colleges (English Medium- MPC, BPC and MEC Groups) and Minority Junior Colleges( English and Urdu both Media- MPC, BPC and CEC Groups) in Andhra Pradesh. APRJC had earlier invited applications APRJC-CET-2018 for admission of students into 1st year Intermediate in APR Junior Colleges from the candidates who were appearing for 10th Class (March 2018) examinations from 13 AP Districts for the academic year 2018-2019. The results of the entrance examination can be found at aprs.cgg.gov.in. Selection of students made based on the merit in the Entrance test and Rule of Reservation. Details to get Manabadi APRJC 2018 results, aprjc notification result from the above link.